Messages that make a statement. 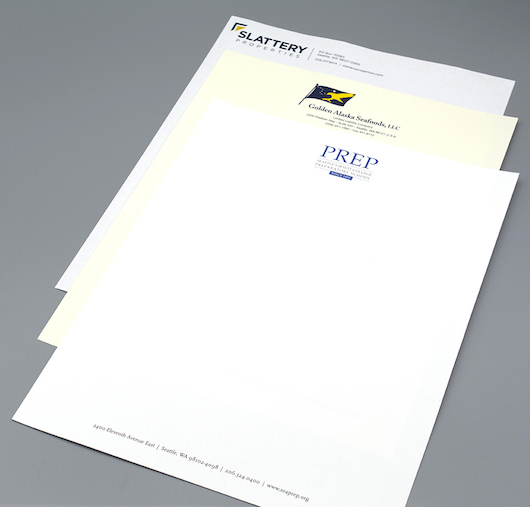 A custom letterhead is an important part of your company’s visual identity. We’ll help give your communications the weight they deserve with a wide range of high-quality paper stocks and custom finishing options including foil stamping, embossing, debossing, and more. We can also give your company a cohesive, visual identity with matching envelopes, labels, business cards, and other options.